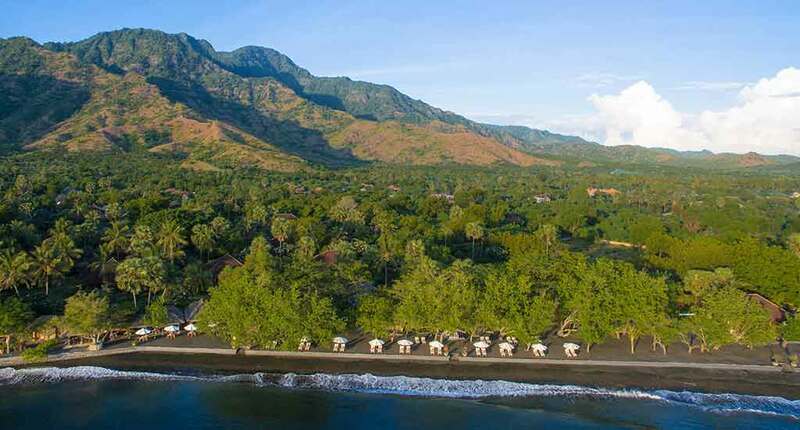 The Matahari Beach Resort & Spa is located in the north-western part of Bali Island in Pemuteran village. 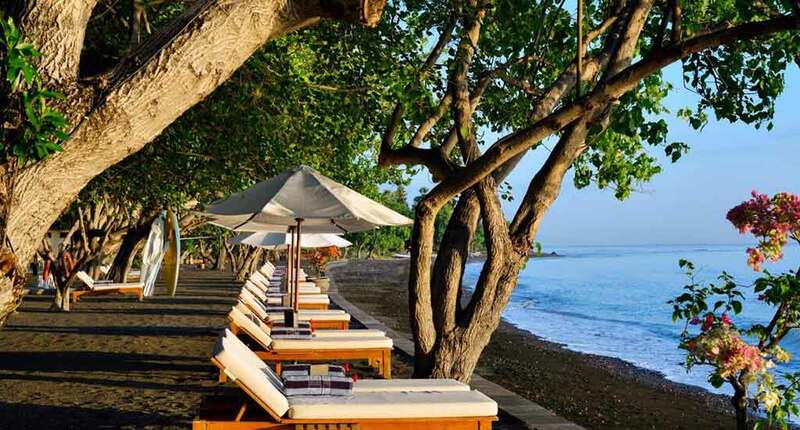 It was built on the shore of Java Sea and is one of the best destinations to escape from your daily routine. 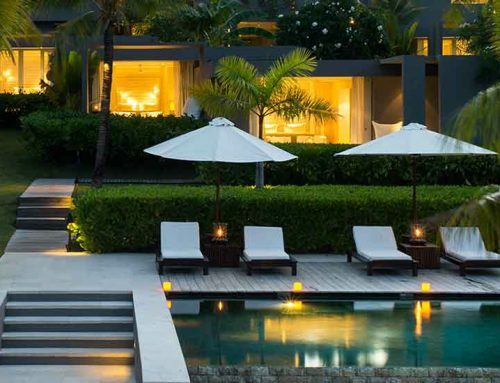 There is no resort in Bali without a spa center. The Matahari Beach Resort and Spa created a traditional Parwathi Spa, for body and soul. There are two types of oil you can choose for your massage: purifying oil and relaxation oil. It depends on your mood. The additional health and body activities include ball games – such as volleyball or tennis, golf, biking. You can also rent a bicycle from the hotel, or do horse riding guided by an instructor, trekking on the Permuteran mountains or indoor fitness that includes gym equipment. 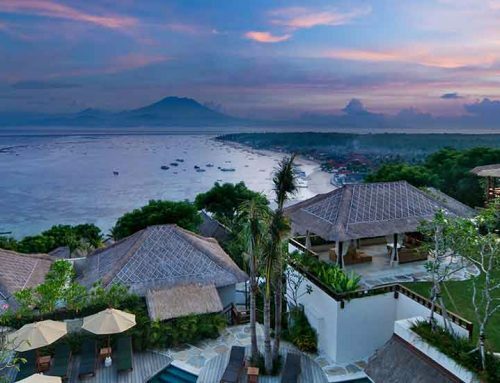 In terms of accommodation, the resort provides traditional Balinese bungalows. You can choose between a garden view, a deluxe or a super deluxe type room. The prices vary depending on how long you prefer to stay there and the size of the room you will choose. 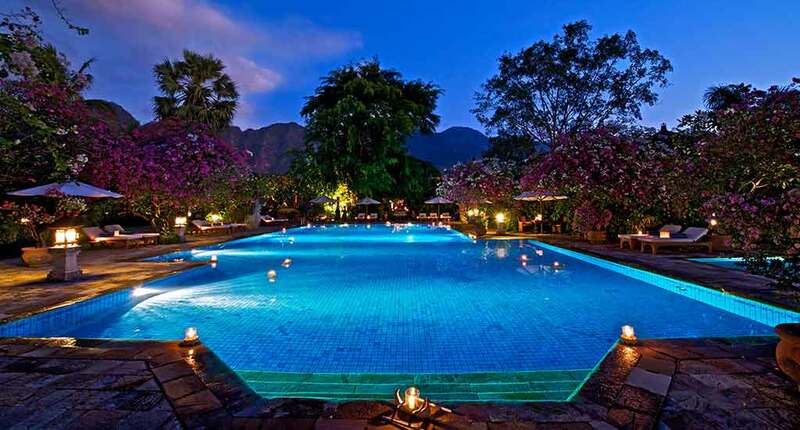 For visitors who prefer a more private life, the hotel created Villa Cempaka. 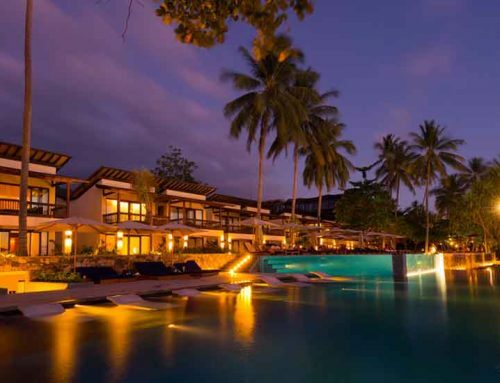 Just some steps away from the resort, you will find a comfortable and luxurious villa. 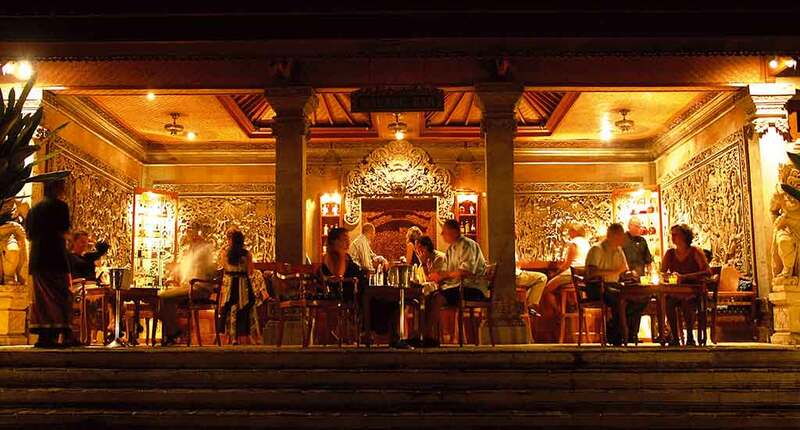 The design is the same as at bungalows – traditional Balinese style. All 32 rooms in 16 bungalows provide a telephone, air conditioning, a minibar, coffee and tea making facilities and an in-room safe. Each bungalow is equipped with a marble bathroom and an outdoor dragon shower. 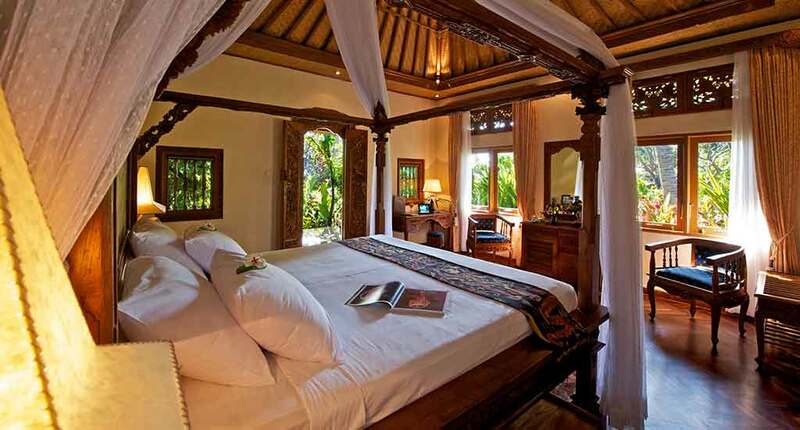 Moreover you enter your room through a Balinese hand carved wooden folding door. The region is full of history and culture. First, we recommend you to visit the West Bali National Park. It’s a protected forest with conserved local fauna and flora. The park is entertaining visitors with two main activities: jungle tracking and bird watching. 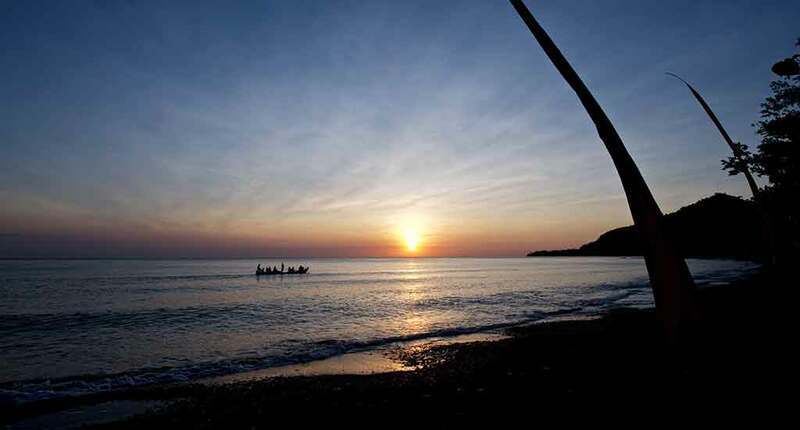 Of course, it’s also a great area for watersports like snorcheling and diving. To enrich your knowledge about Bali’s culture, we recommend you not to miss the Pura Pulaki, Pura Pabean and Pura Melanting Monuments in the Permuteran region. These represent the gratitude for Hindu culture. The legend says that during the 16th century, there were a lot of monkeys who protected the temples as guardians. Today, people are coming to pray for their land and riches. 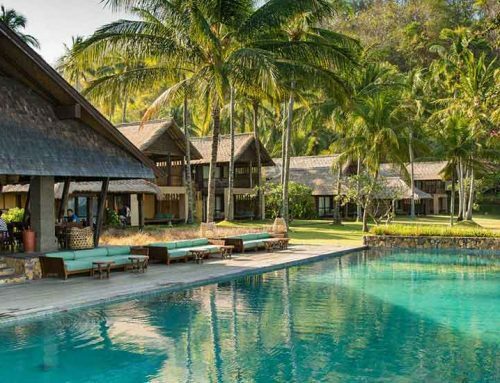 The Matahari Beach Resort & Spa is the perfect destination to calm down and enjoy nature. It’s perfect for couples and families. For lonely traveler it gets more difficult because there are no real nighlife options in the North of Bali and it could be a bit too quiet. In case you prefer to read books, watch birds and go snorcheling, it might be still a great destination for you. Address: West Bali National Park, Jl. Raya Seririt – Gilimanuk, Gerokgak, Pejarakan, Gerokgak, Buleleng Regency, Bali 81155, Indonesia.